Roger Federer kept his ATP Finals hopes alive with a dominant straight-sets defeat of a misfiring Dominic Thiem. 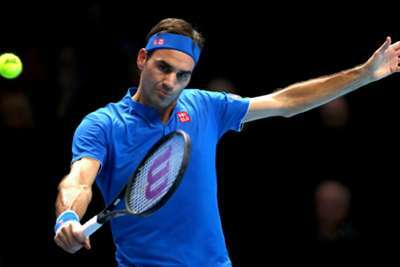 Six-time winner Federer came into his second round-robin match needing to win to stay in the competition after a shock humbling at the hands of Kei Nishikori last time out. But victory never looked in doubt as Thiem slumped to a 6-2 6-3 reverse, with the Swiss great not wholly convincing himself yet still in complete control. There is still work to be done for Federer as he prepares to face the decidedly more in-form Kevin Anderson, while a meeting between Thiem and Nishikori provides an unappetising prospect after the Japanese was similarly thrashed earlier in the day. Thiem made a nervy start on Tuesday and, having battled back to hold the opening game, he was soon broken as Federer seized the initiative after some shaky early play of his own. There was little improvement from the Austrian as the first set wore on and a close-range volley into the net gave up another feeble break, with the set concluded after just half an hour. And this uninspiring pattern of play continued into the second set. Once again Thiem's errors were the cause of a break, the oddly out-of-sorts sixth seed firing long to put Federer in control. Thiem at least showed some fight as Federer looked set to coast to another break, but it was only a temporary reprieve and a second match point against serve saw the world number eight wildly volley wide to cap a difficult evening.